Crazy. That’s probably the first word I’d use to describe George Calombaris’ new upmarket souvlaki bar in Fitzroy. Calombaris has jumped on the casual dining trend sweeping Melbourne currently, going back to his roots to open this tiny, glorified fast food joint at the start of August. Jimmy Grants (rhyming slang for immigrants) may be small but the crowd isn’t. Even on a Thursday night you will struggle to get a table for more than 2 at peak hour. The friendly and efficient waitstaff deserve a mention, as they do well to cope with the crowds. It’s loud, lively and full on, so don’t go taking your grandmother expecting an incredible dining experience. It’s more of an after-work-with-a-light-dinner type place. 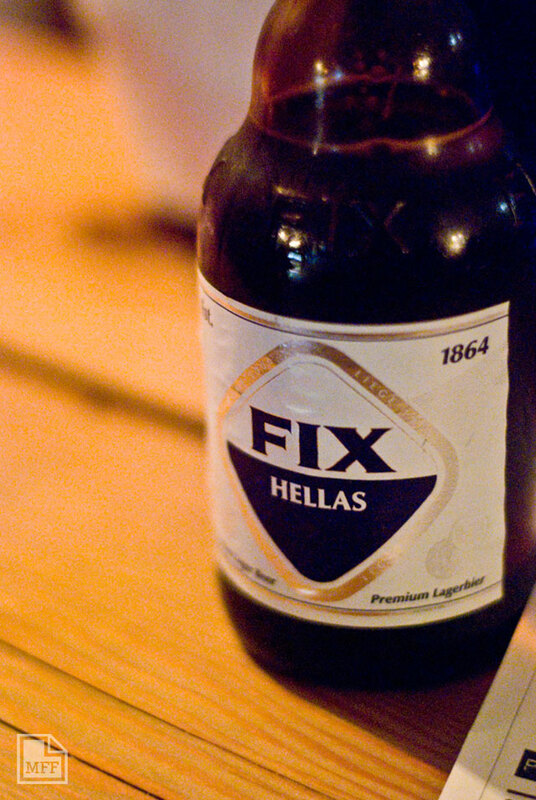 It’s fully licensed so make sure you order one of their Greek beers to go with your souvlaki (the Fix Hellas is good). 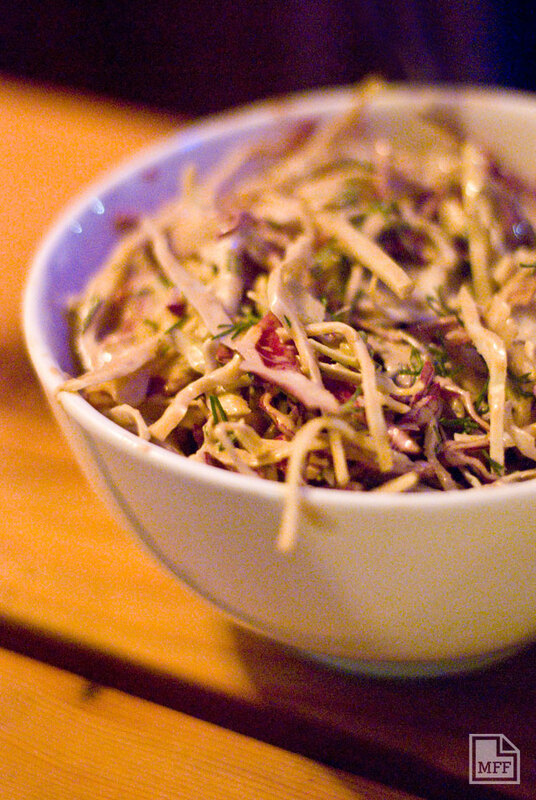 The foods also good – the menu focuses mainly on souvlakis aka souvas with unique takes on old classics. The traditional lamb and chicken souvas get a modern update with the addition of mustard aioli, onion and parsley, plus a handful of chips rolled in to make it like you’d have at home when no one is watching ($7.50 / $8.00). The prawn souva looks popular, and comes served with attiki honey, mayo, cucumber, mint and coriander ($9.50), while there’s also a felafel option to keep the vegos happy ($7.00). While Calombaris promises Jimmy’s to be a “simple, no fuss souvlaki bar,” the portions reflect a more fine-dining attitude. These aren’t your giant, late night souvas that leave you bloated and full the next morning, reeking of garlic. They’re far more upmarket and likely to leave the usual 3am crew hungry. If that’s you, make sure you order some sides. The Hellenic slaw is nice and comes in a balsamic mayo for an interesting twist ($7.00). Fans of Calombaris’ legendary Hellenic Republic will also be happy to see the grain salad on the menu here ($8.00). 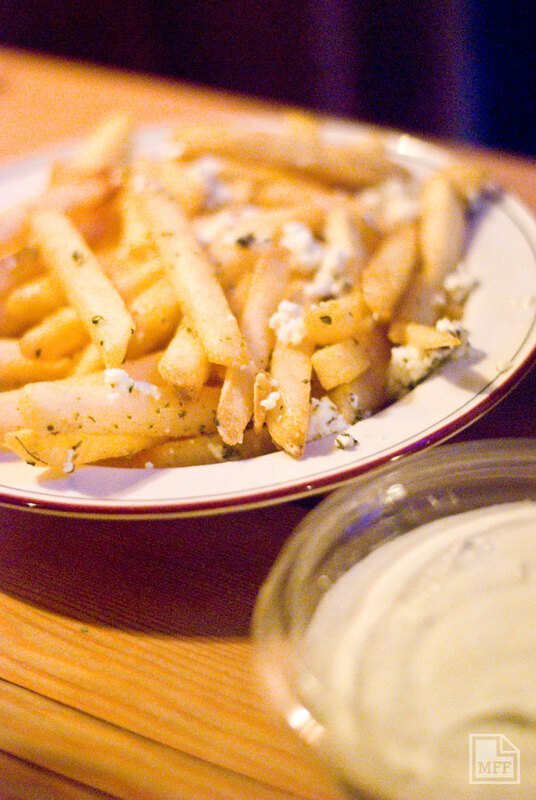 Most people will order the fries, which come with feta, oregano and garlic oil ($6.00). If you feel like being extra EXTRA naughty (as if the feta wasn’t bad enough), get some taramosalata to dip your chips into (+$5.00). The cute plastic tub it comes served in includes a lid so you can take home the leftovers. 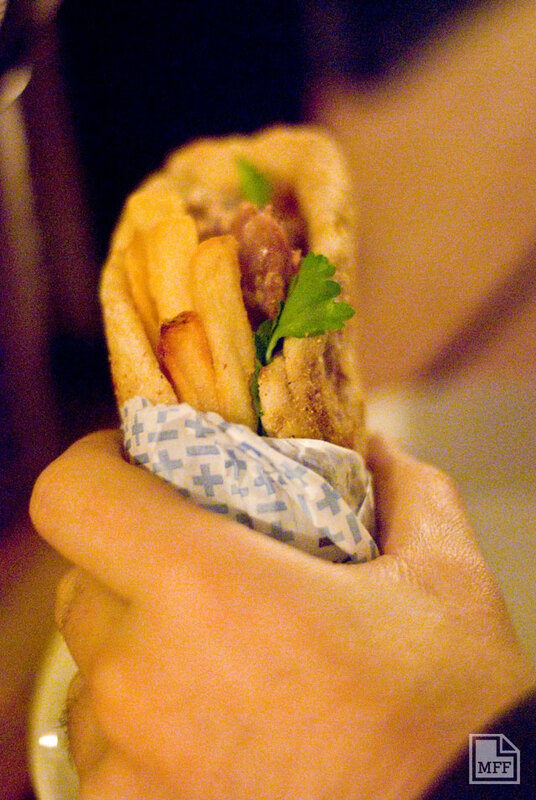 If you’re not into souvlaki, don’t fret. 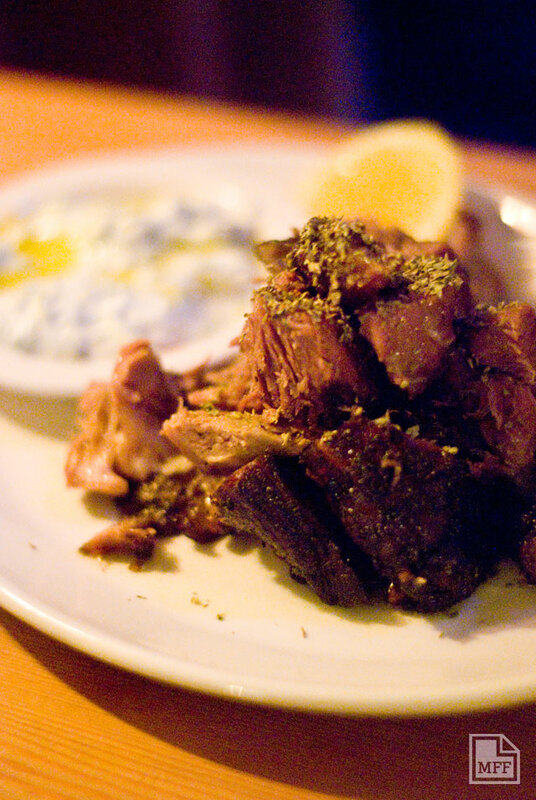 You can choose to have just a big ‘ol plate of meat – lamb or chicken – which comes with tatziki and lemon ($15.00), or you can add pita bread and iceberg salad for and extra $5.00. If you’re still hungry after that, dessert comes from Darren Purchese of Burch and Purchese fame, so you can rest assured it’ll be good. I saw a couple of girls trying to cut a white choc top in half to share which isn’t a good idea ($6.00). There’s also Greek doughnuts which are made in-house. So if you’re one of those really trendy people who doesn’t mind eating shoulder-to-shoulder with strangers against the bar (there’s no room for tables) then give it a try. Don’t say I didn’t warn you. 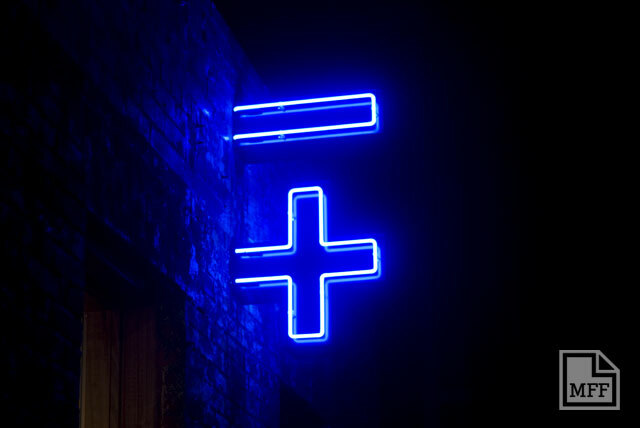 This entry was posted in Fitzroy, Northern, Reviews and tagged bar, beer, Greek, light, sharing, souvlaki. Bookmark the permalink.